To read more about Meier and Ayers, look for them below. Read more about the ‘education debt’ here. 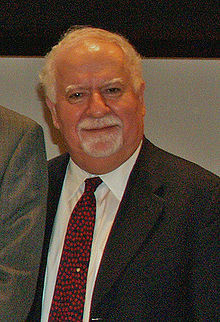 Vartan Gregorian, president of Carnegie Corporation, formerly served as president of Brown University. In 1996, Gregorian briefly stepped in as acting director of the Annenberg Institute for School Reform, which was then housed at Brown. In his role as acting director, Gregorian was instrumental in the creation of the Chicago Annenberg Challenge (CAC). Gregorian selected domestic terrorist Bill Ayers, who personally selected Barack Obama, to work on the board of the CAC. The mission of the CAC was to expand Theodore Sizer’s Coalition of Essential Schools throughout Chicago and surrounding areas. In 2009, President Obama appointed Vartan Gregorian to the President’s Commission on White House Fellowships. In addition to his post as president of Carnegie Corporation, an organization that has long funded progressive education initiatives, Gregorian currently sits on the board of the Qatar Foundation. The Qatar Foundation was started by the founder of Al Jazeera and currently employs the grandson of Muslim Brotherhood founder, Hassan Al Banna. Despite this and other deep ties to Islamic terrorists, the State Department and the U.S. Department of Education have entered into an extensive partnership with the Qatar Foundation for the purpose of implementing several programs, including the ‘Connect All Schools’ Initiative. In 1997, Fox Point Elementary School in Providence, Rhode Island entered into a collaborative learning partnership with Brown University, thereby dedicating the elementary school to the tenants and agenda set forth by the Coalition of Essential Schools. Fox Point Elementary then changed its name to Vartan Gregorian Elementary. As explained here , the Small Schools Workshop received grant money through the Chicago Annenberg Challenge (of which Barack Obama was chairman of the board) for the purpose of transforming existing schools into Coalition of Essential Schools member and affiliate schools. CES is the progressive reform movement behind both CSCOPE and Common Core. See the connections at Common Core/CSCOPE/CES Connection. 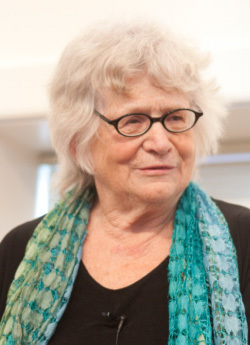 Deborah Meier is a founding leader of Democratic Socialists of America, a marxist organization that strives to end capitalism and bring about “a humane international social order”. In 1985, just a few years after establishing the Central Park East Schools in New York, Meier joined forces with Theodore Sizer, founder of the Coalition of Essential Schools, to open Central Park East Secondary School. Meier and Sizer then worked together to launch a Coalition of Essential Schools (CES) affiliate center in New York City called the Center for Collaborative Education (CCE). With the help of several organizations, including the Small Schools Workshop, which was founded by communist Bill Ayers’ and maoist Mike Klonsky, the Center for Collaborative Education transformed dozens of existing New York schools into ‘small schools’ and CES member schools. Meier has since served as co-chair of the Coalition of Essential Schools and as principal of Mission Hill, a CES school in Boston. Meier, as do many CES reformers, opposes standardized testing, asserting that “…tests of every sort are largely indicative of one’s family wealth and social status as well as the ethnic and racial background of students.”. In commenting on an article about the recent Atlanta schools cheating scandal, Meire defends the guilty educators, claiming that it’s the cynicism of the system that is to blame and arguing that changing test scores didn’t harm the students. 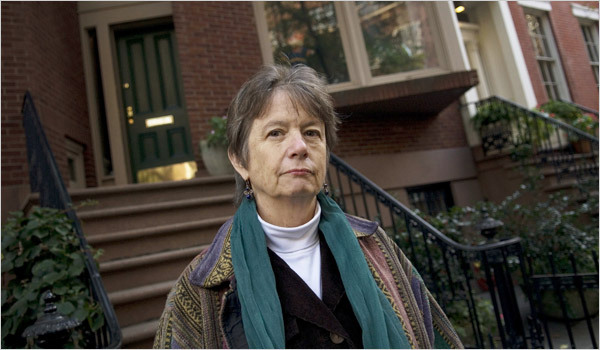 Deborah Meier and maoist Klonsky ‘reflecting’. Deborah Meier with Bill Ayers. 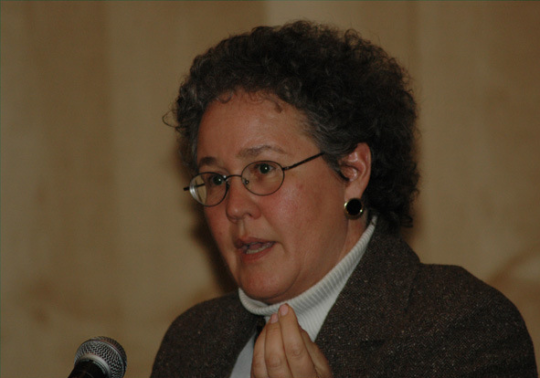 Cathy Wilkerson is a former member of Students for a Democratic Society and the Weather Underground Organization, along-side Bill Ayers. In 1970, Wilkerson, who was out on bail for her part in the ‘Days of Rage’ riots in Chicago, was helping to construct a powerful nail bomb that was intended to be detonated at a dance attended by US military personnel and civilians at Fort Dix in New Jersey. The bomb exploded prematurely, killing three fellow Weather Underground members. Wilkerson escaped unharmed and went underground for ten years. After resurfacing, she was arrested and served less than a year in prison. For the last 30 years, Wilkerson has taught math at several schools, including Bank Street College and El Puente Academy for Peace and Justice, a Coalition of Essential Schools member school. Specifically, Wilkerson teaches ‘RadicalMath’, which was created by Jonathan Osler, lead math teacher at El Puente Academy. As I wrote here, RadicalMath integrates issues like racism and social justice into the lesson. For example, rather than simply teaching children to calculate the cost of food, ‘radical math’ teachers like Wilkerson make it clear to students that, “in a truly just society, food would be as free as the air we breathe”. Another example is a math project titled, “Mortgage Loans – Is Racism a Factor?”. The Coalition of Essential Schools refers to this teaching strategy as “making math personal” and boasts that their teachers use these methods to deepen their relationships with the curriculum and with each other. 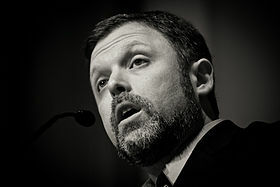 A self-proclaimed anti-racism expert, Tim Wise has no qualms about expressing his disgust for conservatives and traditional American values. Wise was a featured speaker at the 2009 Coalition of Essential Schools Fall Forum and has been invited to speak to students at several CES schools. Wise was also a featured speaker at the 2010 White Privilege Conference. The conference has been attended by many Coalition of Essential Schools teachers and students. Go to Students Schooled on White Privilege and ’5 Million Ways to Kill a CEO’ to read more about the White Privilege Conference and to learn which CES school district used tax payer dollars to transport students across 3 states to attend the conference. In 1990, the Kentucky Supreme Court declared Kentucky’s education system unconstitutional, requiring the state to throw out its laws on education and completely rewrite them. Grant Wiggins, on behalf of the Coalition of Essential Schools, was one of several educators called on to assist in the rewriting and restructuring of Kentucky’s entire state public school system. Wiggins, who had a hand in the design of the controversial Texas CSCOPE curriculum, has worked with the Coalition of Essential Schools for many years, as an educator, a creator of CES methods and teaching strategies, and in training educators to implement the CES reform model. Wiggins was a featured speaker at the Coalition of Essential Schools Fall Forum in 2009. Wiggins is currently working with Pearson, an organization partnering with the CCSSO, to provide professional development to educators for the implementation of the nationally proposed Common Core State Standards. The Coalition of Essential Schools is behind both CSCOPE and Common Core. Read more about Grant Wiggins and several others — the connections between CES schools, Common Core, and CSCOPE at Common Core / CSCOPE / CES Connection. 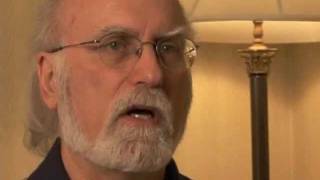 Former member of the Students for a Democratic Society and co-founder of the Weather Underground Organization alongside Bill Ayers, Howard Machtinger recently served several years as director of the North Carolina Teaching Fellows program at UNC’s School of Education. The program hand-picked high school students for recruitment into the field of teaching by offering fully paid education and training. Under Machtinger’s direction, many NC Teaching Fellows were then sent to teach in schools belonging to the Coalition of Essential Schools network. The Fellows program also promoted and partnered with several progressive organizations to promote their social justice infused curricula for use in public and charter schools. President Obama’s education plan specifically references NC Teaching Fellows as a model of best practice in teacher recruitment. 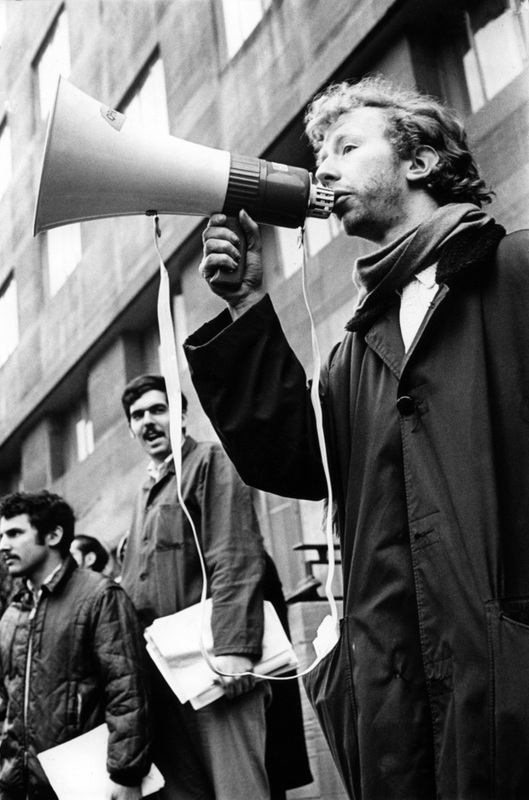 To his credit, Machtinger has, in recent years, denounced the violence that he and other members of the Weather Underground Organization participated in during the 1960s. However, as an educator and as director of NC’s Teaching Fellows program, Machtinger continued to promote radical SDS style prejudice against whites, America and capitalism. Communist, domestic terrorist and former co-founder of the Weather Underground Organization, William Ayers worked on the board of the Chicago Annenberg Challenge (CAC) with President Obama during the late 1990s. Through the CAC, Ayers and Obama invested $50 million dollars in the expansion of Theodore Sizer’s Coalition of Essential Schools (CES). Bill Ayers’ organization, the Small Schools Workshop, which also received funding through the Chicago Annenberg Challenge, was instrumental in the expansion of CES schools. Ayers continues today to provide professional development training to CES educators through speaking engagements and workshops. CES schools is behind CSCOPE and Common Core. Read about the connections between CES schools, Common Core, and CSCOPE at What Are They Learning? 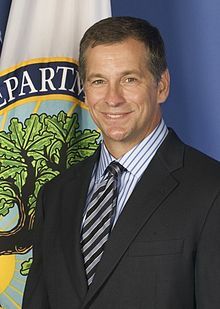 President Obama’s former ‘Safe Schools Czar’, Kevin Jennings, is founder and executive director of GLSEN, the Gay, Lesbian and Straight Education Network. GLSEN is the creator of the Gay-Straight Alliance (GSA), a student led organization for ‘lesbian, gay, bisexual, transgender, questioning (LGBTQ) and straight ally youth’. GLSEN claims there are over 4,000 GSAs in middle and high schools today. The first Gay-Straight Alliance to be launched in a public school was in 1991 at Newton South High School in Newton, Massachusetts. Newton South is a member school of the Coalition of Essential Schools (CES). Through workshops and it’s annual fall forum, CES has promoted the start of Gay-Straight Alliances in schools nationwide, providing curriculum material, helping schools develop action plans, and developing strategies to incorporate LGBT themes into textbooks. 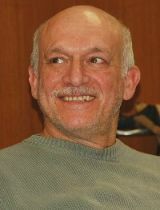 For more information and disgusting details on this extremely dangerous radical, go to MassResistance.org. 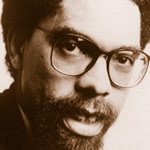 Cornel West, a Princeton professor and marxist-socialist, participated as a featured speaker at the 2000 Coalition of Essential Schools Fall Forum. West, who served as an advisor to President Obama’s 2008 presidential campaign, has supported and participated in several communist party projects and spoken out against Israel for its “occupation of the Palestinian territories”. The Coalition of Essential Schools recommends Cornel West’s books on racism to educators. Barack Obama’s former pastor, Reverend Jeremiah Wright, participated as a featured speaker at the 2006 Coalition of Essential Schools Fall Forum in Chicago, IL. Wright, former pastor of Trinity United Church of Christ in Chicago, made headlines during Obama’s 2008 presidential campaign for his anti-American rantings and racially charged comments. As admitted to in the video above, Obama served as chairman of the Chicago Annenberg Challenge, through which $50 million dollars went to school reform efforts. As I’ve written several times in What Are They Learning?, that money went to Theodore Sizer’s Coalition of Essential Schools (CES). The stated purpose of the Annenberg Institute for School Reform, through the Chicago Annenberg Challenge, was to nationally expand the model and principles of CES schools. Obama still pushes the same progressive education reform movement today through publicized visits to CES schools and CES affiliated schools, and through federal funding and the creation of new education initiatives. Read more about the Coaltion of Essential Schools at What Are They Learning? and in the book Red Army: The Radical Network That Must Be Defeated to Save America by Aaron Klein and Brenda J. Elliott. If the people in charge arent behind this , who is ? Are they that stupid not to see a radical approach to education or is it on purpose . If so then the people of Texas should be looking over their shoulders . Some people in charge are behind this. That’s what needs to be determined – who. Texans are looking into it to find out who. All you need to do to see where this is going is to look at the localities where the far left really has been in charge of everything for decades. Berkeley, California for instance–run like a Stalinist re-education camp since the 60’s. Children assigned to their school on a strict-racial-quota basis since 1968 (this is supposed to be illegal as California passed a ballot initiative against race preferences but what they do is find a local judge who will make up something to keep the quota). Whack-left indoctrination marinated into the system at every level. The results? Chronic, deeply-embedded under-achievement by the “minorities” who’s interests were supposedly going to be served by the race quotas. Profoundly dysfunctional behavior by both teachers and students, with a considerable amount of violence and a menacing, threatening environment as part of the culture. Basically the race-conscious policies produced self-segregation within the school site and a hostile environment (PBS made a documentary about this in 1993 called “School Colors” but things have actually gotten a lot worse since then; they finally had to create a separate “continuation” type program for the high school drop-outs/flunk-outs to cover up how bad it was turning out, as you could have guessed the continuation is essentially a black ghetto. At every turn, the left uses the politics of racial hysteria to create factions in the purest form of “divide and conquer” I can think of. In California has a whole, they are now doing to the “Hispanics” (Mexicans) what they did to the blacks, create a huge (now it’s an actual majority) block of state-dependents. These people would jam a ice-pick in your kid’s brain if that would get them their way. The pattern is pretty clear; everywhere the left takes over they destroy actual education and turn it into social programming. A recent viewpoint on this is Michelle Rhee’s saga in D.C., “Radical”. But then D.C. being what it is, a lot of what she had to contend with is another aspect of the left, which is just garden variety abuse of power and criminality! Wow. If you want on my lists, please hit the contact form on my blog. Thank you for your work and may God Bless America.